Your vehicle’s internal components are able to let you know about any performance issue. Owners do not need to panic if their check engine light popped onto the dashboard. There’s no way of knowing the exact cause of the alert without API Auto Repair’s quality diagnostic equipment. Drivers should avoid trying to self-diagnose their check engine light. The problem can be anything from a loose gas cap to a complicated transmission repair. There’s no way of knowing what’s wrong under the hood without the right diagnostic equipment. As with any repair need, your timing will determine how quick or difficult your check engine light repairs will be. As soon as you notice your vehicle’s check engine light, you should visit or call our shop. Continuing to drive with a check engine light alert or delaying services could be doing extensive damages to your vehicle. The first alert will be a solid red/orange light on the dashboard. This should give you plenty of time to bring your vehicle to our experts. Other than a loose gas cap that you can fix yourself, the check engine light will remain until we give it the proper attention. If you continue to drive your vehicle, ignoring the check engine light, you will be doing further damage. The second alert will indicate an emergency that needs immediate attention. The blinking check engine light means that we need to see your vehicle as soon as possible! At this point, your vehicle is actually on the verge of a complete breakdown. An emergency breakdown is all that vehicle owners can look forward to when they ignore their check engine light alerts. 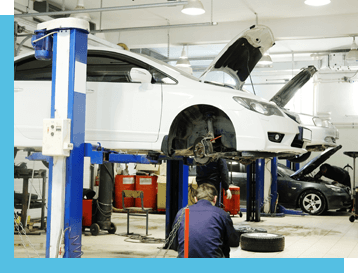 API Auto Repair’s team is here to erase that annoying dashboard light by providing accurate diagnoses and repairs. If the check engine light is on your dashboard, you should bring your vehicle to the experts at API Auto Repair. The check engine light creates nothing but questions for owners, and our diagnostic services provide nothing but correct answers. We’ll get you back to safe and confident road travel with our diagnoses and repairs. Avoid time-consuming and expensive misdiagnoses by leaving your check engine light repairs in our qualified hands. We won’t perform any unnecessary repair services because our team always finds out exactly what’s wrong. Give us a call today at our Bel Air location–410-569-4096–to schedule your check engine light repair service. Next time you’re in the Bel Air area, feel free to stop by for an accurate engine diagnostic service. Our team is here to handle all check engine light services to make sure your engine’s always at peak performance. Bel Air Fleet Service Bel Air Check Engine Light Bel Air Services Elkridge Services How Can We Help You?